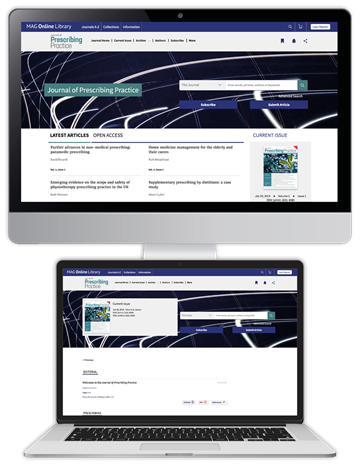 Journal of Prescribing Practice is the multidisciplinary, peer-reviewed journal for all non-medical prescribers. It exclusively focuses on prescribing, covering pharmacology, calculation skills and the clinical areas in which you prescribe. Every issue is packed full of the evidence-based guidance that you need in practice - whether you are a nurse, pharmacist, midwife, optometrist, dietician, radiographer, paramedic or other health professional, the journal will help you to prescribe more efficiently and effectively. A subscription also includes access to our reflective CPD platform: CPD Launchpad.